Serato's proprietary NoiseMap control tone give this vinyl an advantage that's frighteningly unfair. This exclusive Halloween pressing of Serato control vinyl features hauntingly good original jacket and label artwork with a Halloween theme. Consisting of Halloween-inspired, 12 in. timecode control vinyl records, this limited-edition release is a must-have for avid collectors and working DJs looking to spice up their next Halloween set. 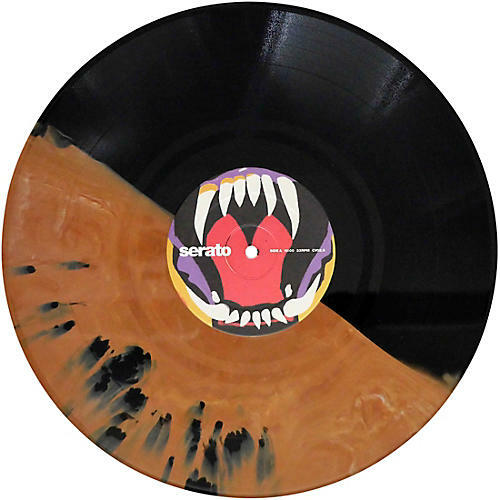 Using Serato's proprietary NoiseMap control tone to let you spin your digital tracks using Serato DJ and Scratch Live, this collectible pressing features unique, multicolored, marbled vinyl. Don't let this collectible, limited-edition vinyl escape your grasp—order yours today.